This wrap-around entertainment patio abundant with plant life cradles the three-sided perimeter of a penthouse apartment in Boston’s historic South End. Recover coordinated an outdoor kitchen build-out and installed planters with custom uplit tuteurs that anchor lounge space and help perennial vines to grow upward. 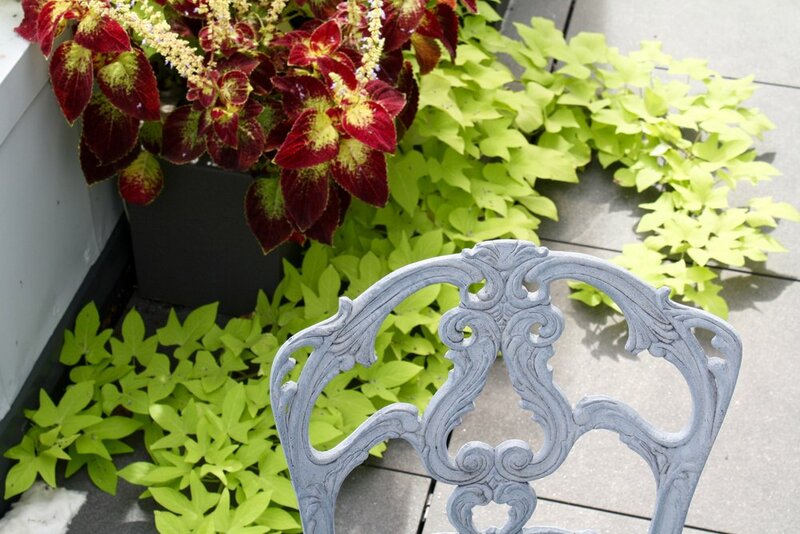 Large planters filled with lightweight green roof media and a diversity of flowering annuals and perennials add color and texture to the perimeter of the patio, while clusters of small planters make space for smaller sitting areas. 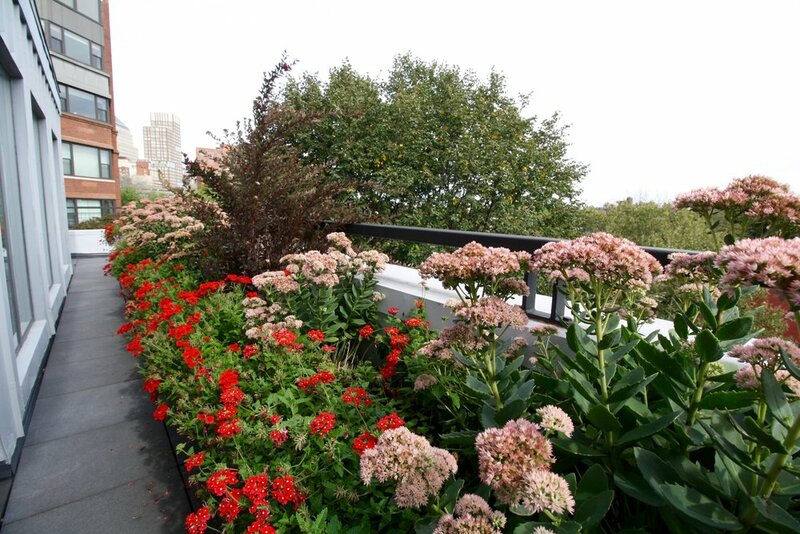 Every room in the apartment has a view of this colorful green roof.